Thankfully, airline companies now permit passengers to turn on their phones (airplane mode) the entire flight. This allows you to go online through their wifi service and in my case, take photos from up in the air. 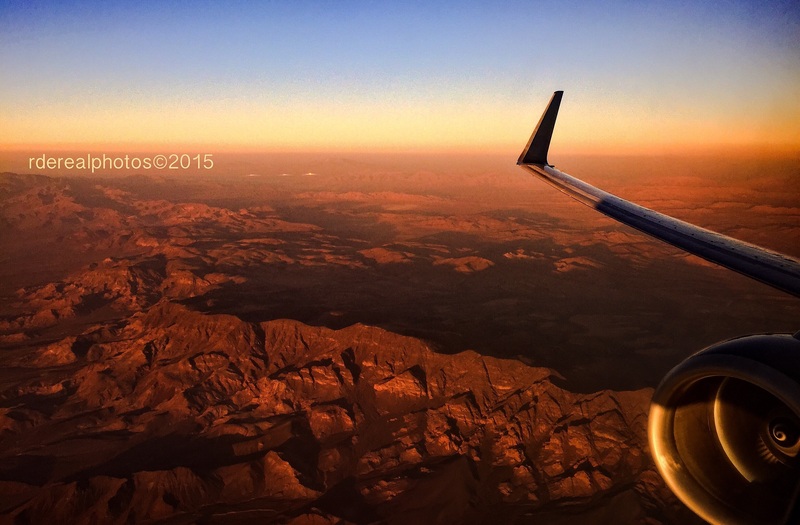 The photo above was taken around 7am just a few minutes after takeoff from the Las Vegas airport. The early morning sun was casting shadows on the rough terrain and enhanced the redness of the soil turning the entire landscape into something out of this world. I used my iPhone 6 to take this photograph. Such gorgeous rich colors. I like your title too! Lovely photo. I’ve seen many taken out of plane windows and they are all very disappointing. This is excellent.